We have a full line pole weapons that consist of single headed battle axes, maces, flails, spears, war hammers, double headed battle axes and halberds. Pole arms are any form of cutting or thrusting weapon mounted on a long handle or shaft. 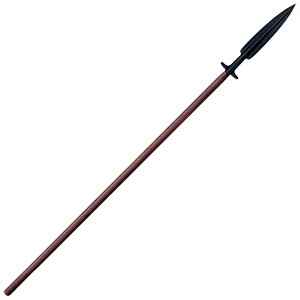 The first pole weapon that appeared were the first spears dated back in the Stone Age. These medieval pole weapons were used by the great warriors and knights during the Medieval times. Our full line of pole weapons are made by top manufacturers like Windlass, Art Gladius, Marto, Cold Steel, Denix, CAS Iberia, Paul Chen, and Valiant Armory. We carry a wide range medieval pole weapons in varying degrees of decoration and functionality to satisfy the needs of both the re-enactor and the collector. 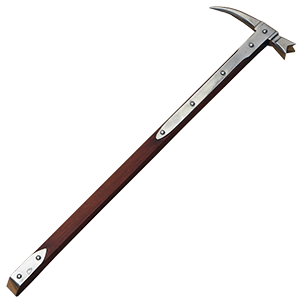 We pride ourselves on offering top of the line battle-ready, functional and decorative single headed axes. Single headed battle axes were capable of cleaving helms or armour with impunity. These single headed battle axes were used by Nordic warriors to spread terror among their foes. however, it allows much less precision than a sword does. There are many forms of single headed axes that we carry such as German axes, Italian axes, hand axes, battle axes, bearded axes, Danish axes, Viking axes and throwing axes just to name a few of them. We now offering top of the line functional double headed battle axes. Our double headed battle axes were popular among knights during wars because it was capable of slicing through plate armour and helms. 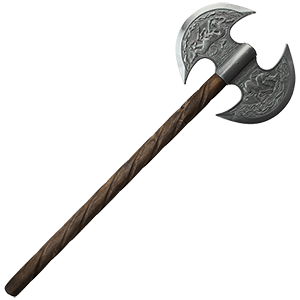 Double headed axes were swung side to side without flipping the axe over to strike an enemy making ideal during battle. 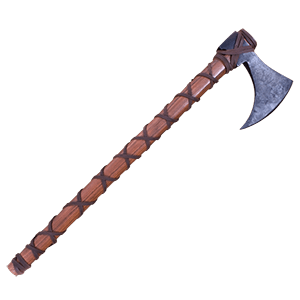 We also carry decorative double headed axes to decorate your home or office with medieval decor. Our medieval axes are a great alternative to the sword. Maces were an armour fighting weapon that developed from a steel ball on a wooden handle to an all steel war club. We carry all sorts of styles of medieval maces, skull maces, flanged mace, shafted mace, spiked mace and the studded mace. The most common of medieval maces were the pear shaped mace, six flanged mace or the eight flanged mace. Medieval maces were commonly hung from the saddles of knights on horseback dressed in armour. A Medieval mace was then pulled from the saddle, to smash through an enemy's shield or armour to kill them. We are sure that we have the right medieval mace for you whether it is functional or decorative. 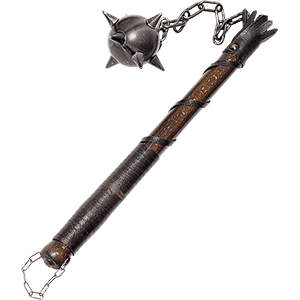 The flail was a deadly medieval age weapon used in military warfare, however many flails were also used to administer punishment for crimes against the state and church. Flails have one or more weights attached to a handle by chain. Flails provided a great advantage to a horseman, because the horse's speed add momentum to the swing of the ball at the end. Flails were very difficult to block with a shield because the can bend around or over shields and amour. Disadvantages of the flail were controlling the direction and the space needed when swinging the flail to prevent the knight from hitting himself or other members of your army. We carry skull flails, spiked flails, ball flails, and traditional themed flails. Whether your flail preference is a full size museum quality flail or a mini pocket flail, we got it all. War Hammers were a development of the late thirteenth century created specifically to deal with heavy plate style armour. The heavy war hammer head could crush the strongest helmet or suit of plate armor with just a few blows and the back spike could rip through helm and plate like a modern can opener. In battle, the war hammer side was usually employed first to knock down and stun an enemy. Once he was on the ground, helpless, the war hammer was reversed and the back spike was used to punch a hole through the helmet and deliver the coup de grace. We carry German war hammers, English war hammers and foot soldiers war hammers that are full functional. Medieval Halberds were effective weapons during the Medieval Era. Skilled soldiers on the ground could easily take down their opponents on horseback using halberds. 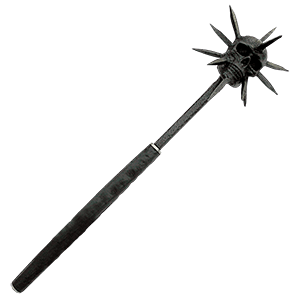 Halberds have three parts that make up the head. There is the bladed for slicing through armour, the spike for thrusting and the hook for was used to take down armed opponents on horseback as they rode by, you could just snag them off. It was like three weapons in one. We have great line of functional Medieval halberds for your re-enacting needs, whether you participate in the SCA or Stage Combat. We also carry decorative halberds for theater productions, stage props or just like to collect and display them in your home. The main weapon of the medieval period was the spear, not only for peasants but also for professional soldiers and even the noblemen. The spear was more effective at downing a charging wild boar because the blade created a wider, more lethal wound. It was equally as effective in battle, ripping holes in chainmail and armour. 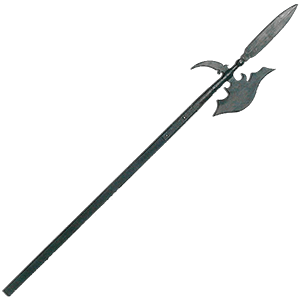 The spear is a relatively low in cost compared to a sword or axe. A medieval spear was relatively easy to use and very light in weight. Spears could also be quickly manufactured and can be used at a considerable distance from the target or enemy. We have Viking spears, Roman spears, thrusting spears, boar spears, throwing spears, assegai spears, and spearheads. All our medieval spears are fully functional and very durable for hunting, fishing or re-enactments. The bow came in time! Thank you for being a true professional during this prolonged order. I am happy with the bow design and workmanship.